There are a lot of myths surrounding the Porsche IMS bearing, and with all of the confusing information out there, it is hard to know what is real and what is not. Learning about the system and how it functions is important to understanding what can go wrong with it and how this will affect your vehicle. The more you understand about the IMS bearing, the better you will be able to handle any issues that may arise with it. Doing some research about your vehicle can even save you money when it comes to repairs. What is an IMS Bearing? The bearing is located on the flywheel end of the engine and is the support for the intermediate shaft. Porsche’s engine design for a flat 6 engine uses the IMS bearing. 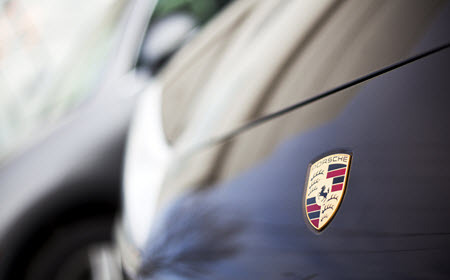 Not every model that Porsche created uses this system though, so knowing what engine your vehicle has is vital. Or if you are looking to buy a Porsche this may be something to consider. If your vehicle does have an IMS bearing, it is not something to be too concerned about, though, as with proper care and maintenance you shouldn’t experience any problems with it. The IMS Bearing, or the Intermediate Shaft Bearing is the mechanism that is used in order to drive the camshafts away from the crankshaft. Through the use of the intermediate shaft the chain speed is slowed, which helps ensure a longer lasting chain. What Does It Mean to Have a Broken IMS Bearing? In order for the Intermediate Shaft Bearing to function properly and work efficiently it needs to be properly lubricated. If there is not enough oil to lubricate the IMS bearing, it could cause the bearing to deposit metal shavings to the oil pan and the oil filter. If the problem is not addressed soon after it begins, the bearing will wear down entirely. If the bearing is broken the engine will not be able to run properly and there will be an oil leak due to the seal breaking. If there is a constant flow of oil to the engine it can cause failure that will cost a lot of time and money to repair. When dealing with an IMS bearing failure, the earlier the problem is found, the less expensive the repair will be. There are a few signs that may indicate that you are dealing with a broken bearing. If there is a clunking sound coming from your engine that will be the most obvious, and you need to immediately service your vehicle. If you have noticed that your car is leaking oil from the rear of your engine, that can also be an indicator that you may have a faulty bearing. The other most common symptom is metal shavings inside the oil filter. If you notice any of these, you will want to get it fixed immediately. Depending on the level of severity of the failure, the entire intermediate shaft bearing may need to be replaced. If the problem was allowed to persist, the damaged originally caused may have done significant damage to the engine itself. You can remove the seals and do a modification on the bearing to repair it, but the safest bet would be to replace the entire IMS bearing. If you are getting work done on the clutch, now would be the time to replace the IMS bearing. Talking with an expert will determine the best course of action that you should take. If you are taking your vehicle in for regular inspections and have an experienced mechanic that you trust, they will be able to work with you and determine which option would be best in the long run for your vehicle. Since there are many different factors that would determine if you need to replace the entire IMS bearing, getting a professional opinion is recommended. IMS bearing, it is important that you deal with the problem quickly. Otherwise you may be dealing with more expensive and extensive issues to your vehicle. At Tech Plus Automotive we have trained experts who will work with you to determine the best option for you and your vehicle. Convenient to residents of Paradise Valley, Phoenix, McCormick Ranch and Scottsdale, AZ, we are able to provide you with the service you need in order to make sure that your vehicle is safe to drive. If you would like to learn more about the services we offer or would like to schedule an appointment, please give our office a call, where a representative will be more than happy to help. * Porsche Carerra image credit goes to: contrastaddict.